Situated in the beautiful Rocky Mountains centrally located from Glacier National Park, Big Mountain Ski Resort and Flathead Lake. We are just three short blocks from uptown Kalispell featuring fantastic shopping, art galleries, theatres, Conrad Mansion, fine cuisine, parks, as well as a 27 hole golf course. 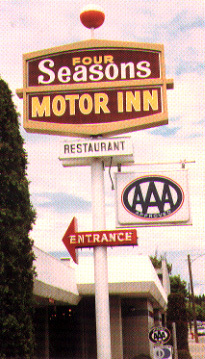 We look forward to seeing you and offering our friendly service, pleasant accommodations and good food!